A new examination of an old issue. Does the Bible justify instrumental music in worship? In 2006, advocates for the use of instrumental music in worship presented a three-part series titled "The Both/And Church," suggesting that people should read old texts in fresh, new ways. These advocates proposed that their understanding of biblical texts justifies instruments in church worship. Since that time, some churches have followed their lead. Ironically, this misreading of the relevant biblical text is not new, The arguments made by these proponents are the arguments that have been made since the late 1800s among advocates of instrumentalist music in worship. 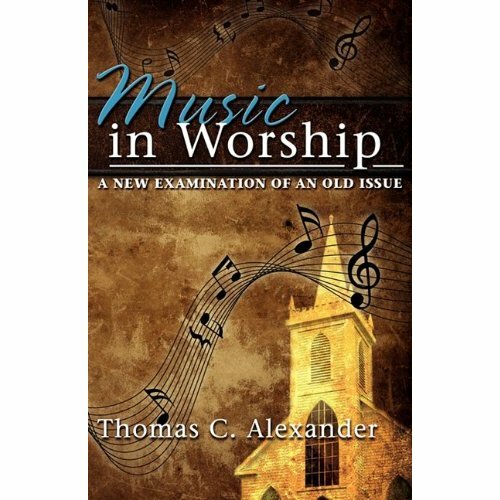 Thomas Alexander answers these "new" arguments in a caring, biblical way in Music in Worship. He careful e evaluates each of the reasons given by "The Both/and Church" proponents and shows that the facts about what God wants in worship have not changed - human attitudes have.